Emma "Grandma" Gatewood is perhaps the most famous of all Appalachian Trail thru hikers and is often (erroneously) called the first woman to hike the entire Trail, or the first woman to complete a thru hike. Instead, she is the first woman to hike the entire trail alone. Gatewood was 67 years old the first time she attempted to thru hike the Trail. Her life up to that point had been consumed by the raising of her 11 children, the management of the family farm, and surviving almost constant abuse by her husband. In July 1954, she told her children she was "going for a walk," not explaining that her walk would begin in Maine and end in Georgia. After a long series of bus rides, she arrived at Baxter State Park. The following day, she set off from the campground at the base of Mount Katahdin, hiked to the summit, then returned. The following morning, she set off in the direction of Georgia carrying only some food and water, a plastic shower curtain for shelter, and a change of clothes, all in a hand-sewn denim bag hung over one shoulder. For shoes she wore Converse high top sneakers. Within 48 hours was hopelessly lost. It took several days for her to find her way out of the Maine woods to Rainbow Lake, where searchers were gathered for another day of looking for her. One of those searchers, a warden in the Maine Forest Service, strenuously urged her to give up and go home. Gatewood accepted his advice, and the following morning, she was on a bus back home to Ohio. Defeated in her first attempt to hike the Trail, Gatewood returned to her farm and prepared for a second try the following year. This time, she flew to Atlanta and then took the bus to Mount Oglethorpe, setting out on her walk north on May 3. For this second attempt, her gear had been enhanced by the addition of a flashlight, a Swiss Army knife, a rain hat and poncho, and a straw hat, all still in that denim sack slung over her shoulder. In many ways, Emma Gatewood was the first ultra light hiker, rarely carrying more than 15-17 pounds of gear and food (especially her favorite--Vienna Sausages). 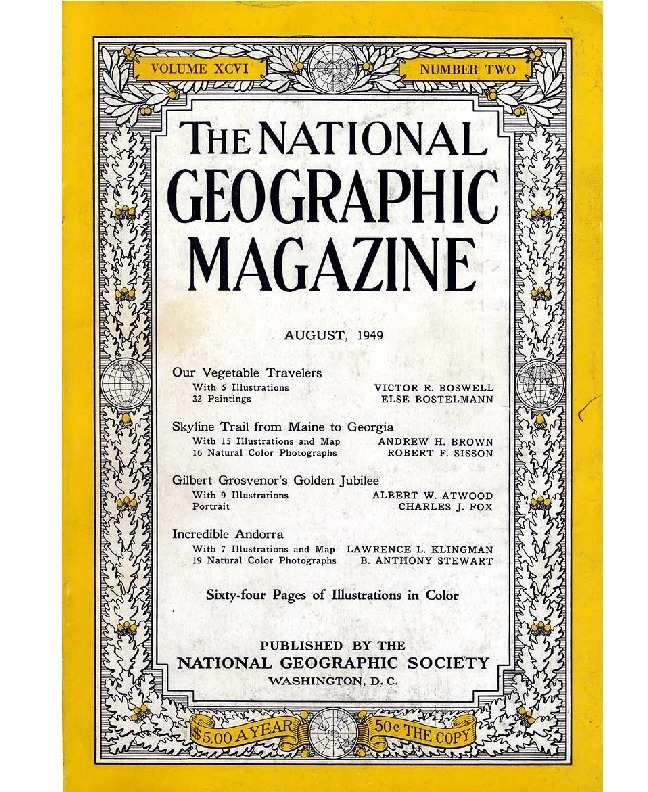 Gatewood first learned about the Appalachian Trail from a 1949 story in National Geographic Magazine. That story, she told a reporter for Sports Illustrated after completing her first thru hike, convinced her that the hike would be along a beautiful, well marked trail, with clean shelters to sleep in each night. I thought it would be a nice lark. It wasn't. There were terrible blow downs, burnt-over areas that were never re-marked, gravel and sand washouts, weeds and brush to your neck, and most of the shelters were blown down, burned down or so filthy I chose to sleep out of doors...This is no trail. This is a nightmare. I would never have started this trip if I had known how tough it was, but I couldn't and I wouldn't quit. As her hike progressed northward, news organizations became aware of the "old lady alone on the trail," and reporters began to track her down at road crossings. The Associated Press profiled her in a national story. Sports Illustrated interviewed her in Connecticut and again after her hike was complete. Following the hike she was a guest on the Today Show. In short, Emma Gatewood's hike made her the Appalachian Trail's first celebrity, and gave the Trail a great deal of national publicity. Gatewood went on to hike the entire trail two more times (1957, 1964). Each time she hiked in men's Converse high tops, a pair of which is now on display at the Appalachian Trail Museum in Pine Grove Furnace, Pennsylvania. 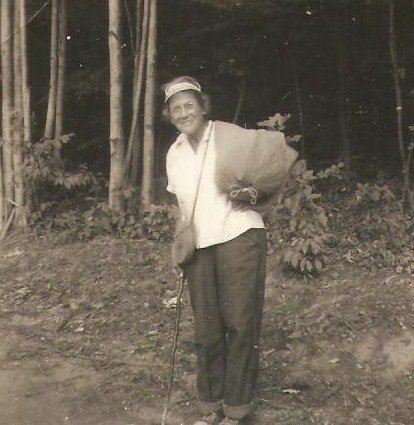 With each successive generation of AT hikers, her legend has grown--to the point where today's thru hikers report that being asked about Grandma Gatewood is one of the two or three most popular questions they get when they meet casual hikers along the trail.